According to the experts in personal finances, the best way to create a budget is to base it on past spending habits. This means that if you are trying to plan ahead and save for car maintenance, the best and most accurate way to do so is to base the amounts you use on similar expenses from the past. For most customers this will mean looking back at your records and finding your receipts or bank statements that show all of your repair costs. For those of you who like electronic records, there are some great personal finance programs that will give you a break down of your spending, notably mint.com. They will analyze your accounts automatically making this a great free way to get a record of your past auto repair spending. Going forward, the Parkside Motors system will be able to generate reports for customers. The system is fairly new, but is tracking all customer data to help better inform your future purchases. Second, make adjustments to the budget as necessary. When you take your total maintenance bills for the past year and divide them by 12, you will get your monthly budget for car repairs. Unfortunately, as your car gets older, it will start to need more repairs and not less. It is just the nature of machines under constant use. You may need to add 10% per month to your monthly budget each year, just to make sure you are not caught off guard and over budget at some point in the future. 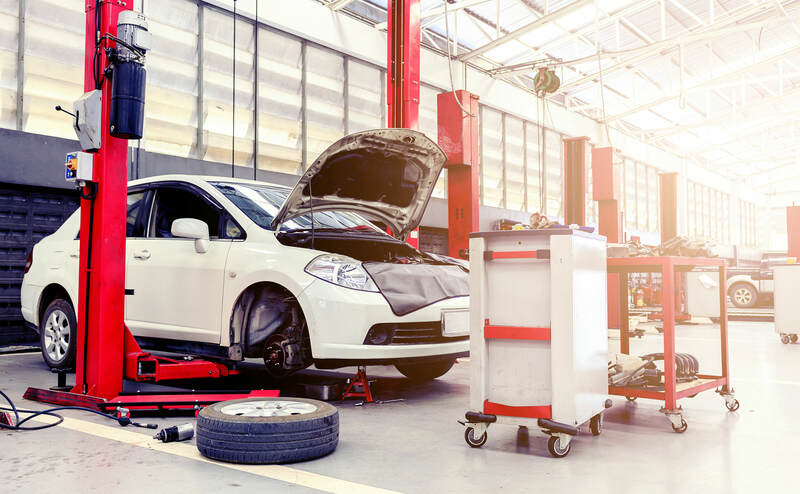 Conversely, if you have had a major repair done in the last year, like an engine rebuild or new transmission, you should take that into account and lower your monthly budget for the coming year. Finally, take that cash and stick it under the mattress. Maybe not under the mattress, but make sure you take your monthly car repair budget and separate it from the funds you use for other purposes. There are many great savings options, and a company like Tangerine (formerly ING Direct) will let you make unlimited savings accounts for free, so you could make one for your car repair budget, one for travel, one for that new boat you are saving for, and have the money automatically diverted to each account on pay day. Automating your saving will make it so much easier and won’t require any will power to get it done. They also pay interest, so if a year goes by when repair bills are inexpensive, your repair budget fund will be earning you money until the next time you need it. Want us to have a look at your car and give you a good starting point for a monthly repair budget? Just give us a call, we would be happy to help you out. Great tips on Budget for Repairs, This information is really helpful for the people who don’t want to spend more money on their vehicles….From this information they can easily set their budget on car repairs.